A 49-year-old Brit has claimed a windfall of £4,082,246.09 – all from an 80p online casino bet. 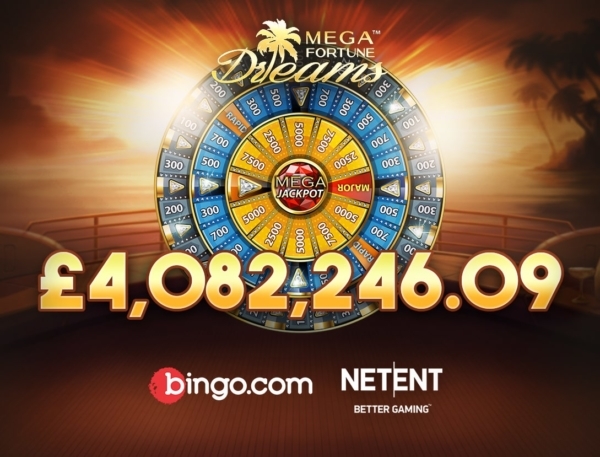 The sensational spin was landed in October on NetEnt’s Mega Fortune Dreams while the player was playing on online bingo and casino site Bingo.com. “Mega Fortune Dreams has certainly lived up to its name again by creating another instant multi-millionaire and delivering a life-changing win,” said Henrik Fagerlund, NetEnt Chief Product Officer. Bingo.com is part of Kindred Group, one of the largest online gambling companies in the world, offering a range of sports and betting products across multiple local and global brands.